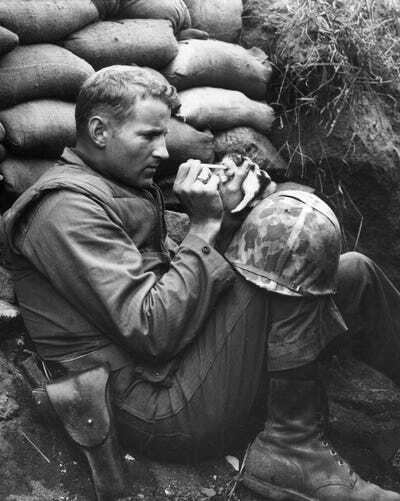 Whether as a mascot or pet or a stray in need of assistance, animals have always had a special place in the hearts of military troops. 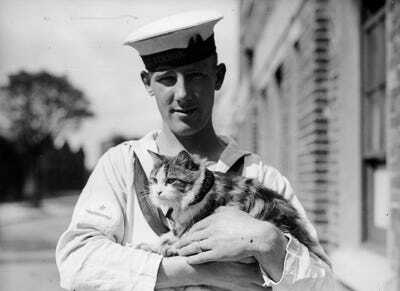 In honour of National Cat Day and inspired by the US Naval Institute‘s historical images of cats in the sea services, we assembled some of the most adorable photos of military personnel and their animals. Fox Photos/GettyA sailor from the HMS Vernon holds the ship’s mascot, Minnie, in Portsmouth in September 1931. 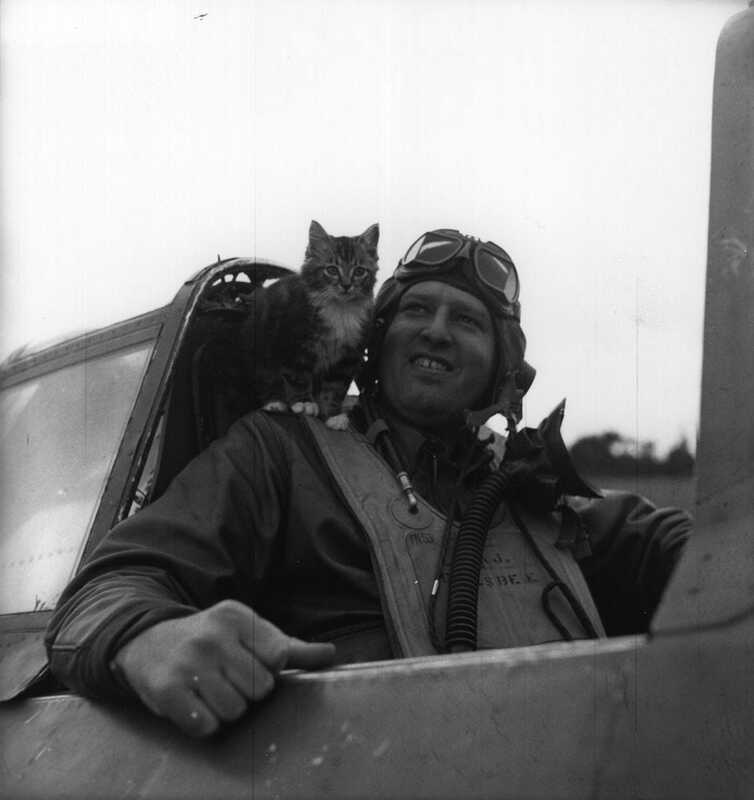 Keystone/Getty.A cat balances on the shoulder of a Royal Air Force pilot circa 1944. National ArchivesMarine Cpl. 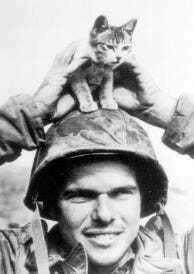 Edward Burckhardt finds a new friend in Iwo Jima, Japan, in February 1945.
Who has the best poker face? 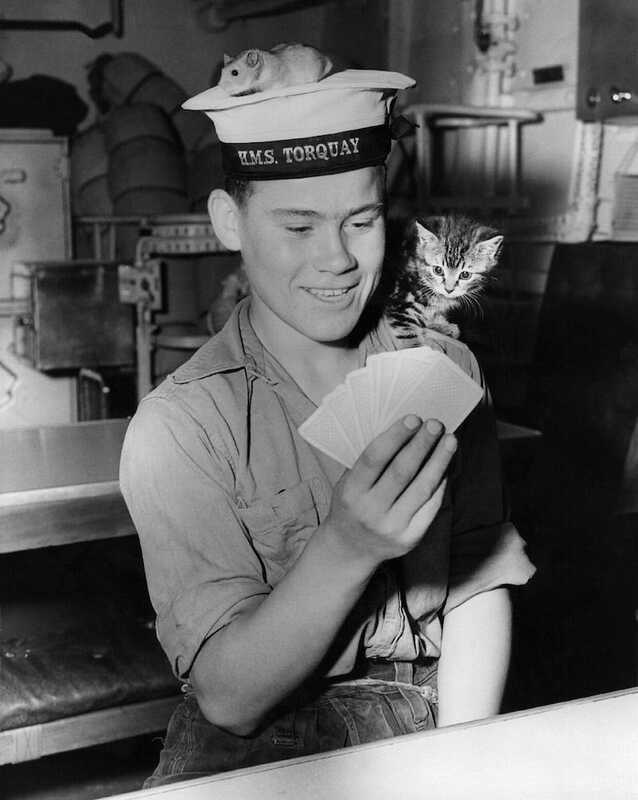 Hulton Archive/GettyA Seaman from the HMS Torquay plays cards with his ship’s pets, Joey the hamster and Smew the kitten, in 1956. Sgt Martin Riley/GettyA US Marine feeds a kitten after a heavy mortar barrage near Bunker Hill during the Korean War. 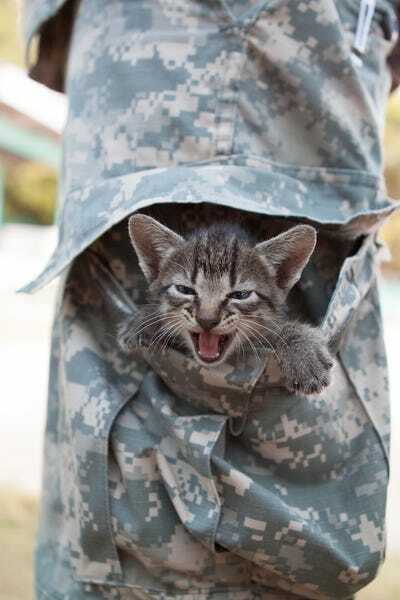 Camelia Montoy/DoDA kitten adopts the trouser pocket of a US Army soldier in the Philippines in June 2012.